Racine Roofing and Remodeling provides commercial roofing Services in Racine, Kenosha, Sturtevant, Caledonia, Milwaukee and Franksville, as well as all of the Wisconsin. Your commercial building is often your livelihood, which makes it more than just an investment. It could very well be your legacy, so it deserves equivalent respect. 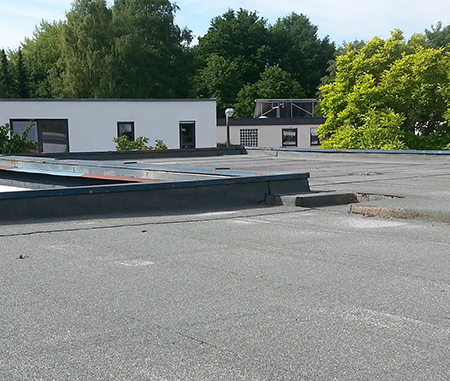 Ensure the longevity of your commercial roof by trusting our professionals to guide you through the process, in addition to the installation. Protect your employees and customers by maintaining proper care of your roof, and allow us to help educate you on the subject. There are several choices for your commercial roofing needs, and we have worked extensively to install, maintain, and repair each of these roof systems. As with residential, we have acquired vast knowledge and expertise on the intricacies of each commercial roofing system’s particular characteristics. This knowledge, along with our size and experience, allows us to evaluate your facility's roofing needs and effectively recommend roofing solutions that best meet those needs. We hope to build a stellar reputation and long-lasting relationship with you, based on trust built through integrity, satisfaction based on a high quality job done well, and ease of the process. We stand behind our work, so that we may begin providing you with the leading value, service, and warranties for the best commercial roof you could ever desire.